I really loved the layout of the room and the services available. It was the perfect Greek Oceanside experience and I wish I could've stayed longer. Best atmosphere at this place. Excellent breakfast. The staff were very nice and helpful. Very nice and clean 2 floor appartment on a quiet place just 50-100 m from the main road. Very good breakfast and restaurant. Best cheesecakes we’ve ever tasted. Close to other restaurants and beach. Scooter rental and superstores 100 m. Bus stop 100m (to Poros town), which is approx. 30 min walk. All in all perfect place to stay in Poros. It's a wonderful place designed with great taste. Very clean rooms, fantastically designed and decorated, a great bed, modern equipment. The hostess and staff are very friendly and they make you feel welcome. 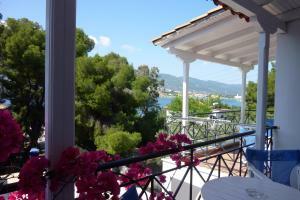 Fantastic location, the beach of Askeli is in 1 minute walking distance. I loved everything about it and I will definitely come back! Our time at Odyssey was wonderful. Katrina is so welcoming! If you want to sleep in a comfortable bed, enjoy a beautiful view, be taken care of and treated well, then stay here. Very few places are like this! I loved how cosy and beautifull the hotel was. The staff were so kind and helpfull. Its located near askeli beach. Maybe a bit 'far' from the harbour but that wasnt a problem at all. 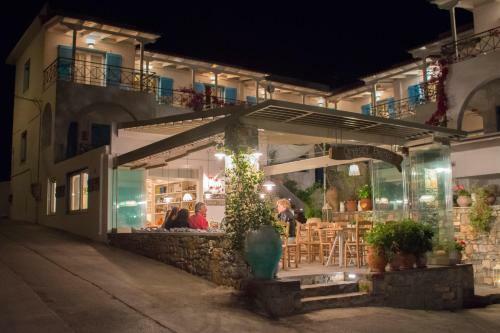 Charming abode, great location, welcoming Greek hospitality with fantastic staff. Ωραίο δωμάτιο και καθαρό. Εξαιρετικό κρεβάτι. Ήσυχη τοποθεσία κοντά στη θάλασσα κ πολύ κοντά στην πόλη του πόρου. Εξαιρετική φιλοξενεια, θα ξανά ρθουμε σίγουρα! Το συστήνουμε ανεπιφύλακτα!! Lock in a great price for Odyssey Suites – rated 9.2 by recent guests! Located only 150 feet from the beach of Askeli in Poros, Odyssey Suites features accommodations with a balcony overlooking the Saronic Gulf. Each apartment has air conditioning, a fridge, electric kettle and a seating area with a TV and Cocomat beds. The Superior type units have 2 levels connected by an internal staircase.A kitchenette and a dining area are also included. A private bathroom with a hairdryer and toiletries is standard. 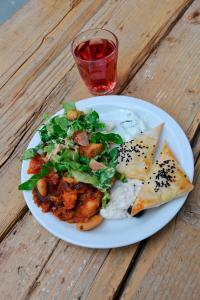 The on-site restaurant serves local delicacies such as pies and homemade desserts. Drinks and coffee are provided at the bar. Greek cooking workshops are held frequently as well as special events like group dinners and BBQs with live music in the courtyard. Shops and traditional restaurants serving fresh fish are just 150 feet away. Poros Port is 1.2 mi away. When would you like to stay at Odyssey Suites? 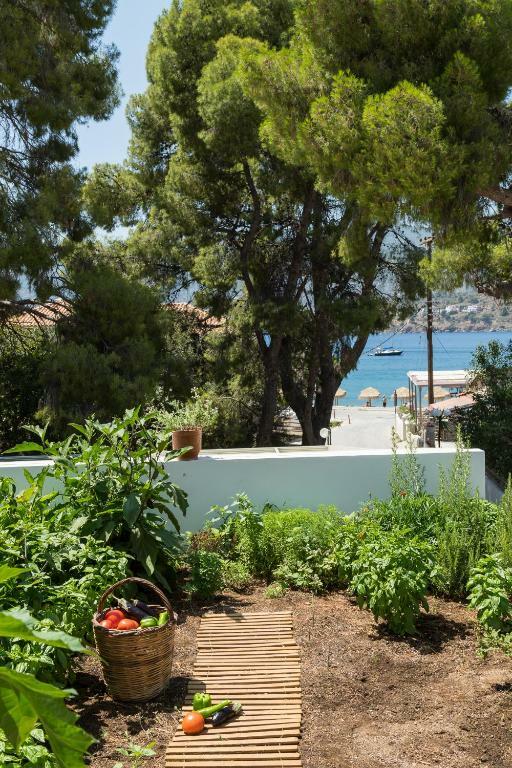 This split level apartment featuring a balcony with Saronic Gulf views, includes a bedroom, a living room with a flat-screen TV, a dining area, a kitchenette and a fridge. This air-conditioned unit has a private bathroom with shower. This apartment, featuring a balcony with views on the Saronic Gulf offers a living room with flat screen TV, fridge and a kettle. This air-conditioned unit has a private bathroom with shower. A unique place on the island. 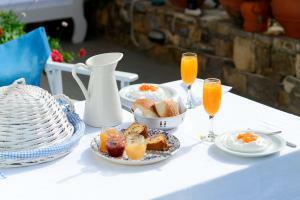 Many guests feel at home quickly because its authentic and comfortable surroundings. "Sleep on nature" beds (Cocomat!!) and a fantastic kitchen of the licensed bistro, complete the Odyssey experience. At Odyssey it is possible to book al kinds of activities, like for example a daytrip with a seakayak. a cooking workshop or a historical walk over the island. Also themeweeks are organized for sportive people like the "Escape from the castle", a special week for open sea swimmers. 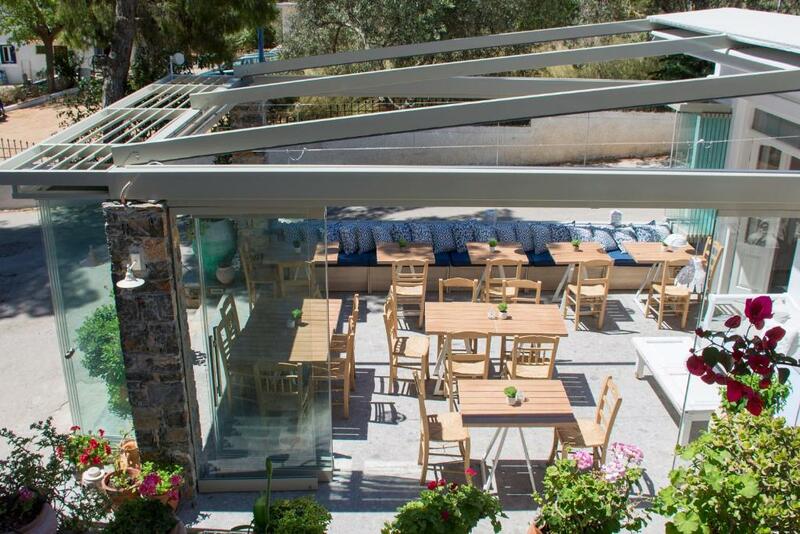 Askeli is a part of Poros which is situated about 2 km from the port. It has a large beach with many restaurants and bars. There is an excellent bus service to the port; two supermarkets and a bike-scooter rental make the place complete for every holidaymaker. Did I already mentioned the watersports accommodation and the many pools in the neighborhood? In spring and autumn Askeli is a great starting place for sea kayak journeys to the many bays of the island, and for hiking and cycling around the island. The temple of Poseidon, on top of the island, does not only gives the visitor the feeling of having travelled back in time, but also gives a special relaxing atmosphere while letting one enjoy the magnificent views. House Rules Odyssey Suites takes special requests – add in the next step! Odyssey Suites accepts these cards and reserves the right to temporarily hold an amount prior to arrival. Please inform Odyssey Suites of your expected arrival time in advance. You can use the Special Requests box when booking, or contact the property directly using the contact details in your confirmation.